How to Export iMovie Project into WMV? I have an iMac. I recorded video with my Sony camcorder and then made instructional videos with iMovie. But my students primarily use Windows-based computer. So my question is how do I save and export iMovie video to WMV? As we all know, iMovie can only export a limited number of formats like M4V, MOV, MP4, DV, AVI and 3GP, etc. What if users want to export iMovie project to WMV as described in the above example? What if they need to share iMovie video with others who only has windows-based computer? Keep reading and the following full guide will show you how to export and convert iMovie project into WMV. 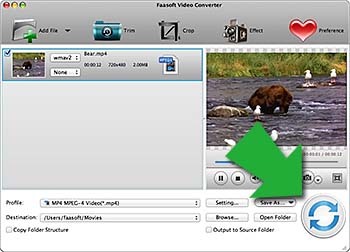 Actually, you can effectively solve iMovie won't export WMV issue if you get a powerful iMovie to WMV Converter like Faasoft Video Converter (for Mac, for Windows) at hand. With it, iMovie users are able to convert the exported iMovie project to WMV with only three steps and then they can play iMovie video on Windows with Windows media player and edit it in Windows Movie Maker. This smart converting tool also supports changing audio file formats like FLAC, CAF, VOC, MP3, WAV, ALAC, AIFF, WMA, M4B, etc. 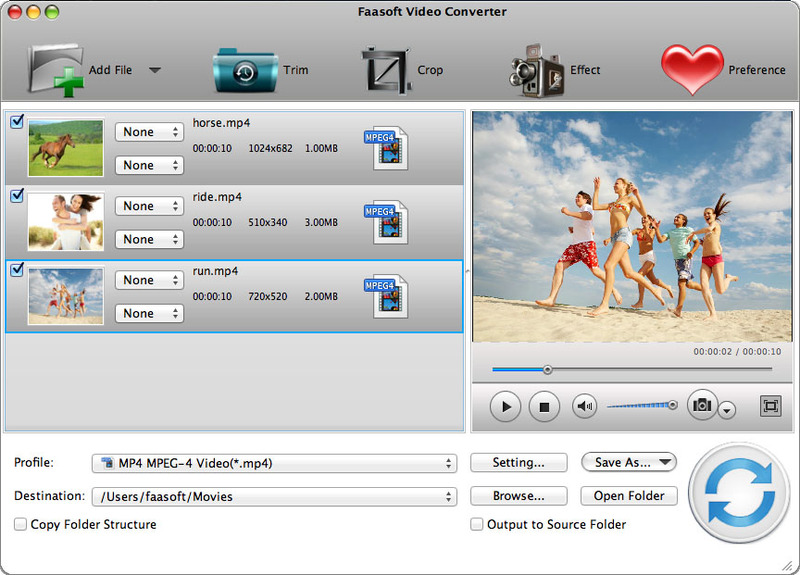 Faasoft Video Converter is a great tool and it is worth your time to have a try. Click "Free Download" button to download the trial version which has all the functions of the paid version. When the download is completed, follow the set-up wizard to install Faasoft Video Converter on your Mac and run it. Note that you can download and install the windows version of the program if you are operating a windows computer. Export iMovie video and simply drag the exported iMovie video to the app. Faasoft Video Converter will load the video automatically. This is the easiest way to import file. Another commonly used way is to click "Add File" button and choose the file from pop-up window. 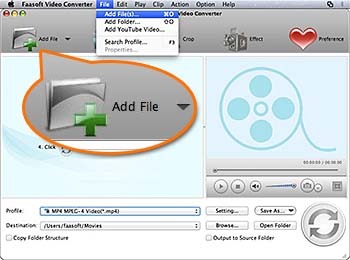 Faasoft Video Converter allows you to add several iMovie videos at once to save your time if you'd like to batch convert iMovie projects to WMV. In this step we will set the output format. After iMovie video load, move your mouse to "Profile" drop-down button and hit it. A profile menu pops up. Select "WMV Windows Media Video (*.wmv)" from "General Video" category. If you export iMovie video in HD, please choose "HD WMV Video (*.wmv)" from "HD Video" category as output format. After the target output format has been set, you may want to specify the output path. To archive the goal, click "Browse..." icon and select output folder. Now you are ready to start the conversion. Hit "Convert" button on the bottom and the app starts converting iMovie project to WMV immediately. What Formats Does iMovie Support?